LED light fixtures outside are projected to use just 25% of the electricity allowed, and will substantially reduce maintenance. The selected traction elevators in the lobby will use approximately 33% of the energy of typical hydraulic machines, and remove the risk of soil contamination by eliminating the oil. Xeric plantings are watered only when necessary through the use of smart irrigation controls that automatically monitor and adjust depending on season and available rainfall. This combination of careful plant section and precise controls is projected to reduce outdoor water usage by 53%. This 38,500 s.f. 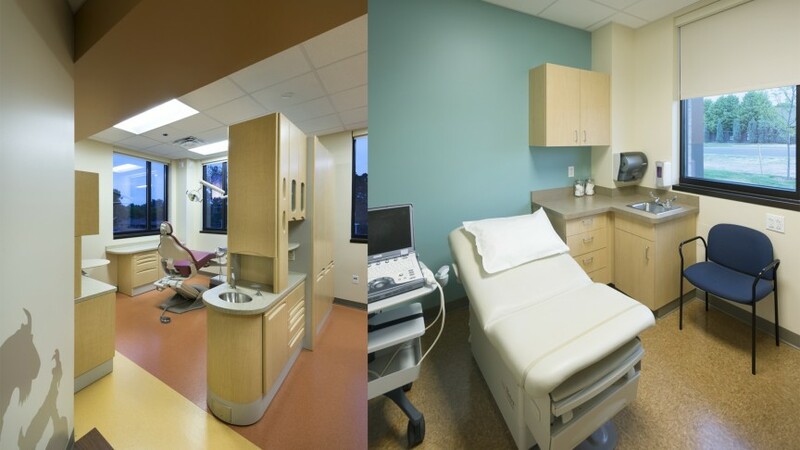 community health clinic houses 50 exam rooms divided across five clinical pods: extended hours care, family practice, senior and disability care, pediatrics, and obstetrics/gynecology. The project also includes dental, lab services, x-ray, and community support services. 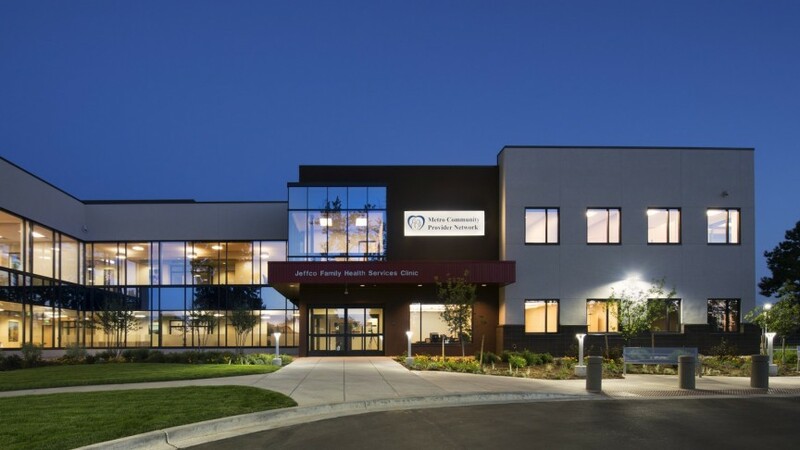 Through a collaborative agreement with the Jefferson Center for Mental Health, 5,000 s.f. 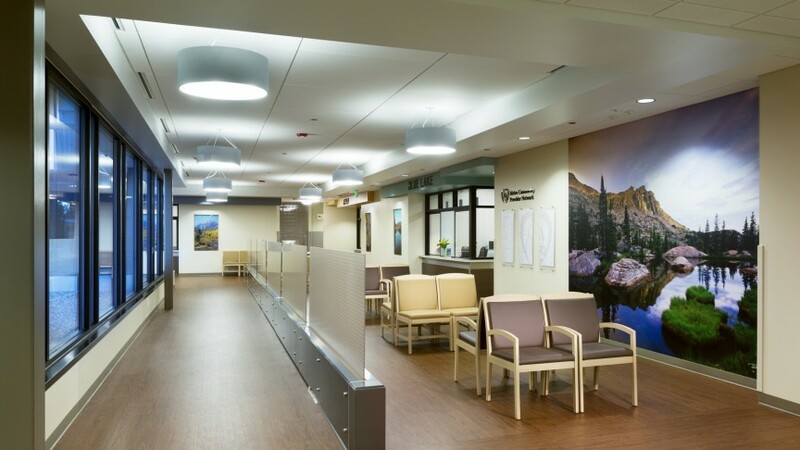 of space is occupied by mental health providers to support all patients and honor the connection between physical and mental health. 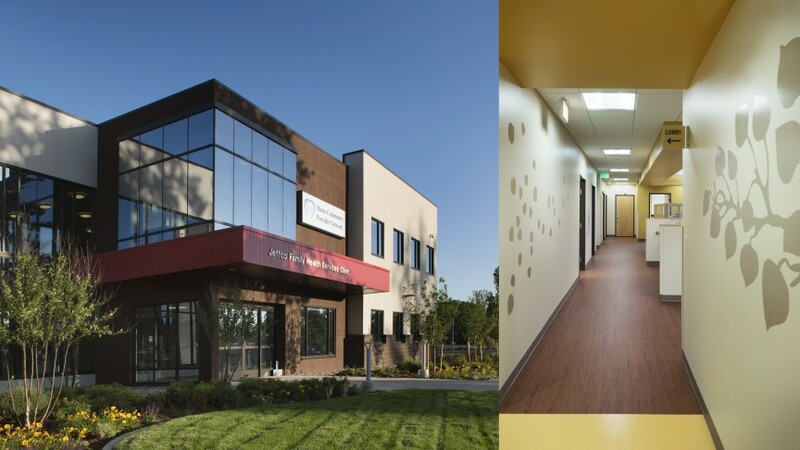 MCPN utilizes the concept of the Patient Centered Medical Home, emphasizing team care and care collaboration as a way to manage population health. The entrance to this LEED-NC Gold certified facility is designed to be welcoming and warm, sited to shield users from a busy adjacent street. Bright, open waiting areas center the building’s form, and the distinct pods are clearly identified. 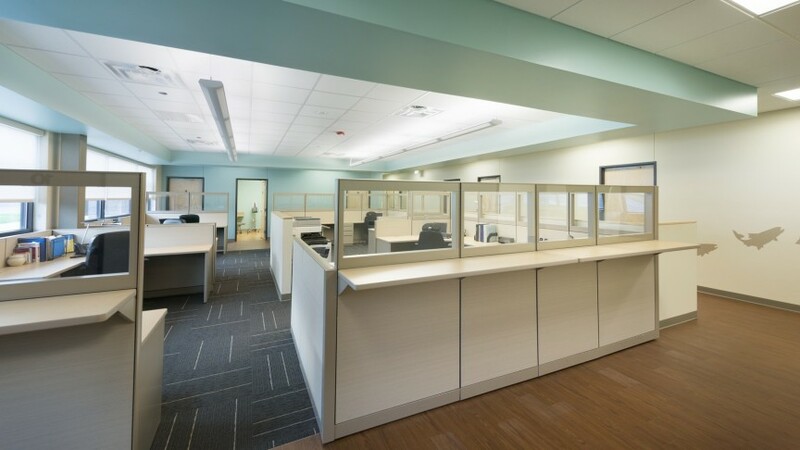 The internal organization provides excellent back-of-house connection, which supports staff members collaborating between pods.